Argentero (2c Zoffany-Frabjous, by Pivotal) confirmed himself one of Ireland’s best two-year-olds of 2015 when winning the Listed Coolmore War Command Rochestown Stakes at Naas on Monday. The Ger Lyons-trained colt, a winner on his debut, overcame softer than ideal underfoot conditions to win the six-furlong race by two lengths under Colin Keane. "There is a horrendous headwind, it's very hard and it was a good brave performance. He's got a great attitude and a great temperament. 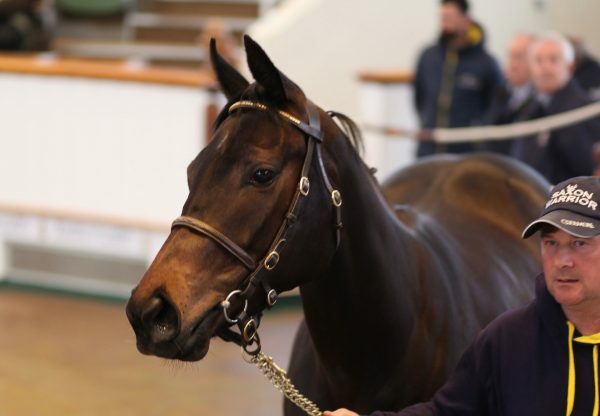 He's still not got the ground he wants as he wants good ground,” Lyons told irishracing.com of the Maywood Stud-bred colt. "We probably have the second best colt in Ireland and we'll go for the G2 Railway Stakes. The plan has always been to come here and then go for the Railway Stakes." Winning rider Colin Keane added: "It's hard work with the ground and the wind but he done it well and he was idling out in front. He pleases you at home and he tries his heart out so you can't fault him. "He is very laid back and you could ride him which ever you want. I'd say further wouldn't be a bother to him either." Zoffany has made an excellent start with his first two-year-olds, who include the Listed Marble Hill Stakes second Washington DC (2c Zoffany-How´s She Cuttin´, by Shinko Forest).